Calf Tarn is one a small handful of tarns to be found in the Howgill Fells and is also, at over 670m above sea level, the highest tarn in the Dales. 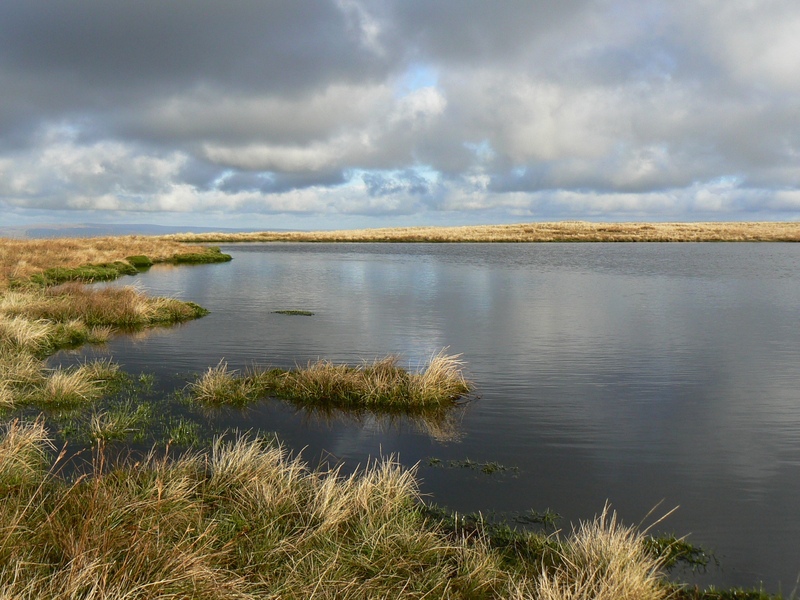 The tarn is situated just metres away from the summit of The Calf, the highest point in the Howgill Fells. Technically the tarn does not have a name but given its location Calf Tarn makes sense. It is close by the path leading to the summit so, unless it is suffering a dry spell, it is an easy tarn to view for walkers visiting The Calf. 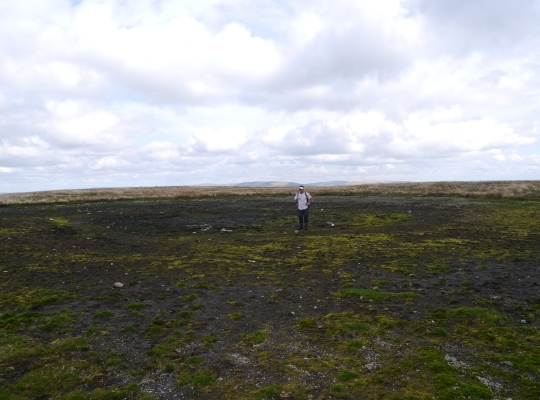 The actual size of Calf Tarn can vary dramatically. I’ve seen the tarn full and empty, as if someone had pulled the plug on it. 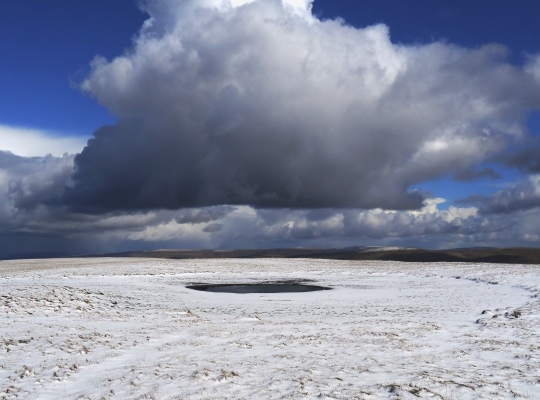 Perhaps the most dramatic view of the tarn I had was in the spring of 2014 when some overnight snowfall and some deep blue skies contrasted beautifully with the shrunken tarn.